Amazon recently updated its affiliate/influencer program. Before only successful YouTubers could include amazon links in the description of their videos. This gave them the opportunity to make a commission on the product they were advertising. Now amazon has opened up these services to more people, as well as offering them for twitter and Instagram accounts as well. Why is this important for YouTubers? YouTubers have taken a revenue hit the past couple months due to the “adpocalypse”. Most YouTubers got their money from these monetized ad’s automatically generated on their videos. However YouTubes new algorithms for determining commission on ad’s has impacted a lot of small YouTubers putting some out of business. Amazon is expanding its affiliate program to more people. 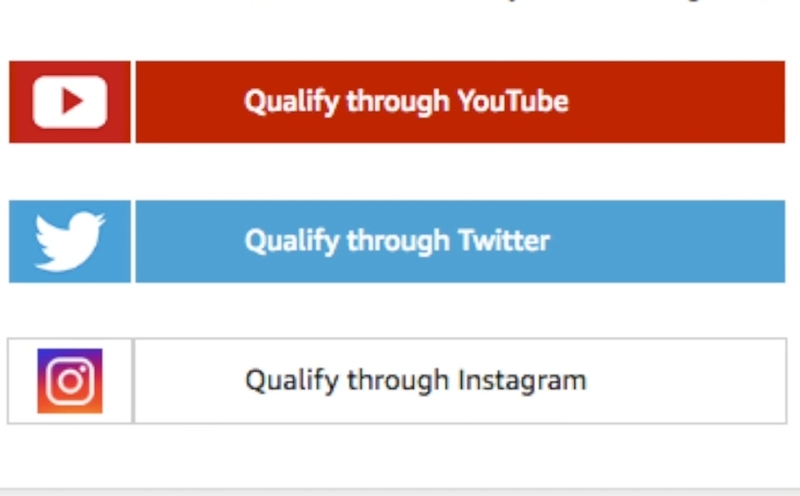 This means old accounts that submitted and were declined for the opportunity to become an influencer will now be reassessed. Basically anyone with the will power to attempt this process will have the opportunity to! 2) Now you can make money using twitter and Instagram! Prior to the update only successful YouTubers were allowed to benefit from Amazon’s affiliate program. But now they have opened up the playing field to users with highly active twitter and Instagram accounts! And sign up for the affiliate program! From there you can start choosing links of products you may have to review! Drop a video, picture, or blog post about the product with the amazon link and you’re own your way to becoming an online entrepreneur! If you’re an online entrepreneur, the amazon affiliate program is definitely 200% worth trying out! You never know what could happen! It’s not a get rich quick scheme, but this could be some great side revenue to add to your other sources of income. For more information, Derral Eves explains this topic in his new video! Previous: Previous post: How Peter Mckinnon gained over 1 million subscribers in under 1 year! Next: Next post: Why I Went WIRELESS! !